Enlarged 20,000 times, in SOMSO-Plast®. After Christian Groß, Head of Biology Department (retired). The model shows the recently discovered principles of the delicate structure of an animal cell. 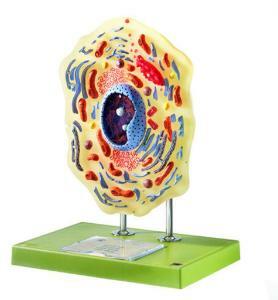 In addition to the organelle like nucleus, endoplasmic reticulum, mitochondria, ribosomes respectively polysomes and Golgi apparatus, the model also shows centrioles, lysosomes and fat vacuoles. The presentation of the process of extrusion of a Golgi vesicle and pinocytic signs is shown by the cell dynamics. 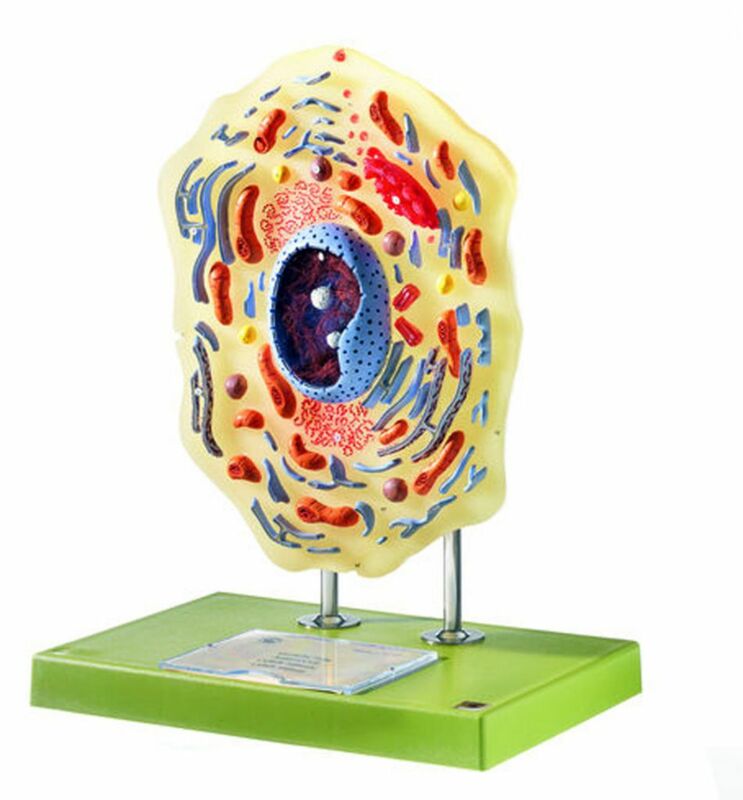 For teaching purposes the components of the cell are very brightly colored to bring out the high degree of segmentation of a cell.